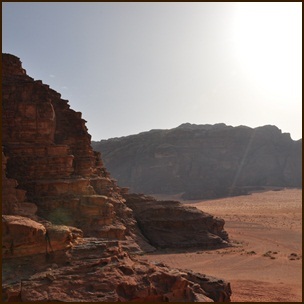 You will start this tour with your guide from Wadi Rum , and from the village you will proceed to visit Lawrence Spring and then continue to Khazali Canyon where you can go inside and see the ancient inscriptions. While you are exploring and resting, your guide will prepare lunch for you. Then you will continue your hike to the sunset place where you will meet the jeep with your luggage. Here you will have the bedouin dinner and bedouin tea and spend the night under the stars. On the second day after breakfast we will drive you back to Wadi Rum village.